Paper quilling tutorial for making your own paper quilled animals (turtle, elephant, dolphin, seahorse! Great for jewelry, magnets, frames, etc. This .pdf pattern includes a cover page and SIXTEEN full pages of detailed instructions, photos, tips, and tricks. More than 90 detailed photos allow even someone who has never done paper quilling before to make these designs! Includes beginning paper quilling instructions. 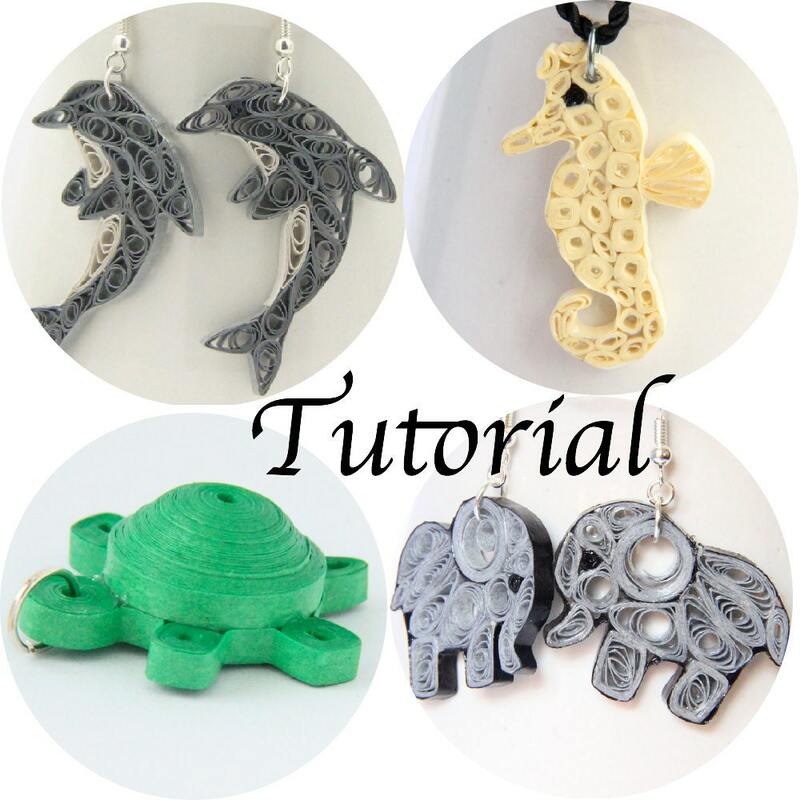 These designs are more difficult than beginning quilling, but by following the detailed instructions and practicing a few times a beginner will be able to make these designs. This .pdf tutorial is ©2013 Honeys Quilling. It may not be shared or reproduced in any way. All rights are reserved by Honeys Quilling and Honey’s Hive. You will receive this .pdf tutorial via e-mail within 48 hours (usually within 12 hours) of placing your order. I will send it to the e-mail contact for your etsy account unless you specify otherwise. c'est super, c'est juste dommage que ça ne soit pas en français. Thank you much. They are really cute! lovely set of instructions, very cute items. Many thanks hon!